Are private pods the next step in Business Class airline seating? British product design consultants Factory Design and aircraft seat manufacturer Contour Aerospace seem to think so. 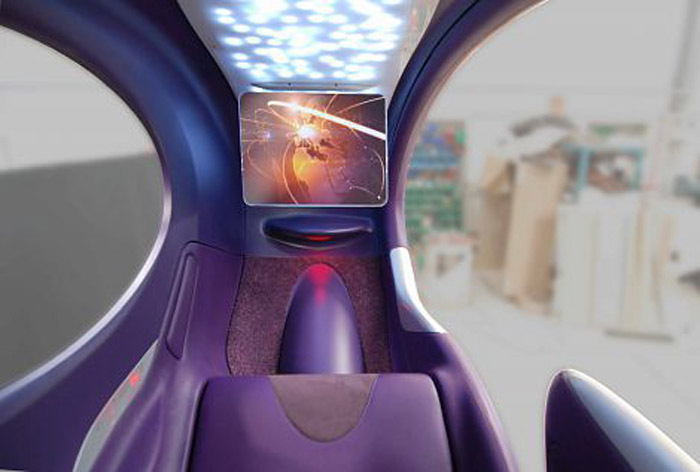 Their Air Lair concept seating consists of a series of hard-shell capsules providing a whole environment for each passenger; semi-private spaces with a flat bed, mood lighting, and individual screens for in-flight entertainment. The pods stack on two levels (I’d love to see the suited businessmen hop in and out of the ‘upper bunks’) in a 1-2-1 configuration. The goal? For each person to feel like they’re in their own private jet. 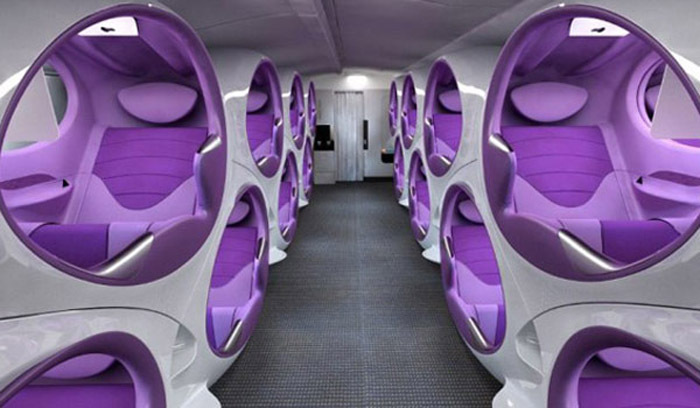 First capsule hotels, now capsule airline seats. Very 21st century. And: very purple. This entry was posted in Industrial Design, Just Plain Cool. Bookmark the permalink.